Other Info Moved into area this week from Norfolk, Gemma is a house cat, she is petite, very timid and nervous, previously a rescue cat. Hi Janie, Gemma was spotted in a wild patch at the back of the gardens opposite me last Sunday, Cats Protection have kindly lent me a cat trap to try and catch her, sadly no success so far but I won't give up! i would now borrow a cat trap from an Animal Rescue Centre, or Cat Protection (For a small donation, I think) Place inside an object with her scent on; your scent too). I would refrain from putting any food in at this stage, because of other cats etc. And knock on a few doors too. Paws xd. Gemma has gone awol because cats hate change of any kind; they like familiar scents. And when indoor cats "Escape" like this, they will feel very scared, and anxious being out of their comfort zone, which is in their own homes with people they trust; their owners. They also tend to hide close by too. A door she has access too, open wide, and stand aside. (Don`t block her entrance, or she may see it as a "Threat, and run off again) Put some tuna, or warm chicken in her dish, and place it about twice the width of the open door, Place her UNWASHED blanket into a clean container, along with your scent too,as your the one she trusts. Place it about 1/2 metres from the door, Also check ALL outbuildings THOROUGHLY, as some cats will hide in. or behind an object within, especially if timid. Paws xd. Alerts sent to helpers in GU14,15,16,17. Sorry to see that GEMMA is missing. If your dog is microchipped please let the microchip company know that your dog is missing and check that all details are up to date. Obtain a missing poster by clicking on View poster above. Posters are very important so start postering now! You will need to be logged in to upload photos, edit your dog's details, or add comments. You can add comments by clicking on Click here to add a comment. Contact dog wardens, vets and local rescue centres, and in Scotland, the Police. Give a detailed description with any distinguishing marks/scars or send them a copy of your DogLost poster. You can find vets in your area here. If your dog has been stolen inform the police immediately and obtain a crime reference number (CRN). Send an email to stolen@doglost.co.uk. If your dog is picked up and taken to rescue kennels, it can be legally re-homed after seven days. Visit rescue centres in person and do not rely on checking by phone alone. Other people may not recognise your dog by your description, so give them a DogLost poster. 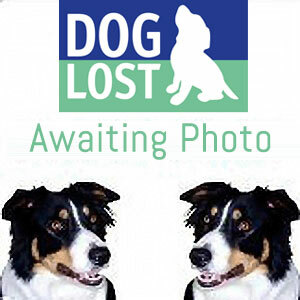 DogLost is free and anyone asking for money to find or return your dog is not volunteering for us. If you are concerned about an approach you have received, please call our helpline on 01633 668 364. Lines are open seven days a week 08:00-20:00.